Aside from using them as a spread, nut butters can be added to a dish to replace animal fat or cheese or simply just as an added oomph to the taste. They’re great for adding a nutty flavor or packing a protein punch to the dish. Making nut butter can be a simple two-step process. You can simply grab the nuts, throw them in a food processor and puree away. Any nut that belongs to the oak tree can be used for acorn butter, and they usually consist of a single seed inside of a tough shell that is usually approximately 2.5 inches long and 1.5 inches broad. Depending on the species of the nut, the acorn can take up to 24 months to mature, and after this, it is ripe for any number of uses. Acorns are extremely nutritious and usually come from either white, red, or black oak trees. They have large amounts of carbs, fiber, and protein, to name a few, and nut butter is very simple to make. It is very nutritious, fast to make, and is a very versatile food, as you can use it in any way that you would normally use peanut butter or other types of butter. Almond butter is a very versatile food and has been gaining in popularity for many years. It is high in calcium, potassium, iron, and Vitamin E, and one of its many advantages is that people with allergies to peanuts can substitute this type of butter for peanut butter and in some cases will barely notice the taste difference. Peanuts are considered legumes but almonds are not, which is yet another reason that many people are looking for this type of alternative food. Almonds have a higher fat content than other types of nuts, but it only has about half of the saturated fat, so it is a very healthy food for you to consume. If you search the Internet, you can find hundreds of easy recipes for almond butter, so if you’re interested in making this yourself, all you have to do is go online. These large, oval-shaped seeds come from trees located in Central and South America, and butter made with these nuts is usually made organically and without any additional ingredients. 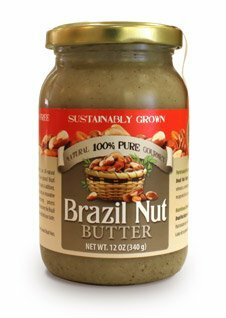 Brazil nuts have a high amount of selenium, which is good for your heart and has also been proven to repair your DNA and the immune system. They have a high content of the “good” type of fat, and they even contain an antioxidant that is good for the brain. They are also good for problems associated with your thyroid, asthma, weight, skin, and digestion. Brazil nuts also have a lot of fiber and can help you control your cholesterol levels, and when it comes to your skin, hair, and nails, they are a true superfood that can produce exceptional results every time. Cashew butter offers a lot of nutritional advantages, and if you like the taste of cashews, you’ll love the taste of cashew butter. More often than not, this butter is made from cashews that are either roasted or baked first, and the final result is very creamy and rich. It is very high in Vitamin B, protein, and unsaturated fats, and the butter was first used during the Cold War and packaged in metal cans for the U.S. military. Best of all, you can use cashew butter as a dip for apple slices, as an addition to oatmeal or smoothies, and of course, spread over biscuits or toast. In fact, you can even use it as a base for some very tasty vegan cashew nut cheese, and you can find lots more recipes for vegan dishes that use cashew butter if you look online. Hazelnut butter is made by crushing and blending the hazelnuts. Although more common in Europe than in the United States, you can still experience the taste of hazelnut butter when you consume products such as Nutella. The hazelnuts are usually roasted or baked first, and you can even purchase both smooth and crunchy versions of the butter. Whether it’s store-bought or homemade, you should always stir hazelnut butter before you eat it, as well as refrigerate it after you open the jar the first time. 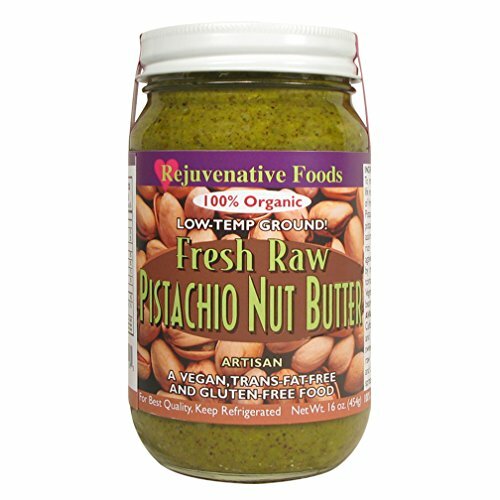 People who are raw-food enthusiasts like to eat unroasted hazelnut butter, and they even claim the nutritional value is higher when it is manufactured this way. If you have any recipe that calls for peanut butter, you can use hazelnut butter instead, and it makes great food for people who love nut butter but who are allergic to peanuts. 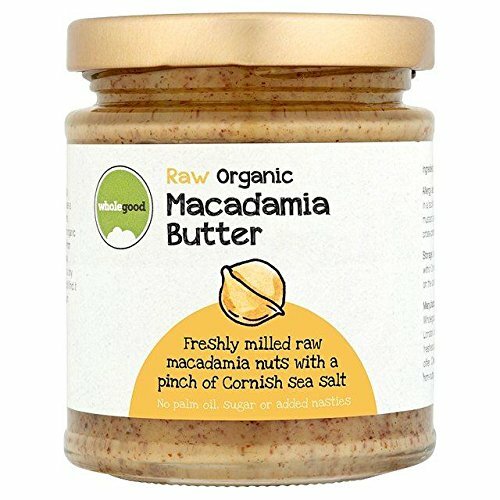 Nut butter made with macadamia nuts is very simple to make, as most of the time the only ingredient are the nuts themselves. Macadamia nuts are high in fiber, Vitamin B6, fiber, protein, and iron; however, they do tend to have higher amounts of fat and lower amounts of protein than many other nuts. This doesn’t mean the nuts are not good for you, because they are. It just means that it may not be the only type of nut butter you want to include in your daily diet. In fact, macadamia nuts have been shown to lower blood pressure, control blood sugar, and improve irregularity and other gut problems, so they truly have a lot of health benefits. Peanut butter is perhaps the most well-known type of nut butter, and if you visit any grocery store or supermarket, you’ll immediately notice that there are far more jars of peanut butter than there are any other types of nut butter. Peanut butter is usually made from ground dry-roasted peanuts and can be either smooth or crunchy in texture. In the U.S. alone, people consume extraordinary amounts of peanut butter – more than $800 million of it annually. Peanut butter has a lot of fiber, protein, and vitamins E and B6. Although some people are concerned about its fat content, much of this fat is the “good” type and therefore not of concern unless you eat too much of it. For the next years or decades, therefore, it is not likely that people’s love of peanut butter will ever deteriorate. 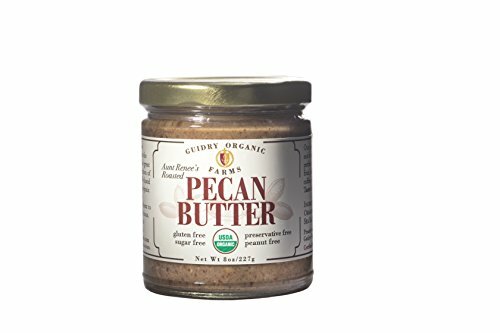 Although many people have never heard of this type of nut butter, pecan butter has a unique taste that is causing many people to explore and enjoy its taste. Pecans began in Northern Mexico and the Southern part of the United States, and they are enjoyed in dozens of ways, including nut butter. Pecans have a lot of fiber, protein, iron, and several B vitamins. In addition, pecans offer far more health benefits than this, including their ability to improve cardiovascular health, help you lose weight, get rid of inflammation, reduce the risk of stroke and high blood pressure, and strengthen the immune system, to name a few. It can also prevent hair loss and helps reduce the risk of certain cancers, so if you eat pecan butter it will always be good for you. Pistachios are members of the cashew family, and they are used in thousands of recipes for dozens of different food items. Pistachios are chock full of nutrition, and they contain fiber, protein, B vitamins, calcium, and Vitamins E and K. Their other benefits include high amounts of antioxidants, promoting the healthy bacteria that should be found in your gut, improving the condition of your blood vessels, and helping you lose weight. They are also thought to lower both blood pressure and blood sugar, and making nut butter from pistachios is much easier than you might think. They have been known to be good for your heart, as well as packing lots of protein in one low-calorie food – up to 6 grams of plant-based fiber in just one ounce. Although walnuts are not true botanical nuts, they are still considered nuts for most practical purposes. They usually consist of both English and Black walnuts, and they are tasty and nutritious as well. They are great sources of Omega-3 fatty acids, and they are perfect for overall health. If you choose to make your own walnut butter, all you have to do is mix the nuts and the right amount of oil in a food processor until it is the consistency that you like. This is another type of nut butter that is good for people who are allergic to peanuts, as peanut butter can be life-threatening for them. Walnuts have been shown to help with Type 2 diabetes, reduce tummy troubles, decrease inflammation, and even reduce the chance of getting certain cancers. They are also extremely tasty, whether salty, roasted, or plain, and they have even been known to reduce some of the signs of aging.